Download This Informative Guide to Quickly Get Your Workplace Up to Speed with OSHA HazCom Requirements! Print it out. Hang it up. Put it to Work! Don’t wait for an OSHA inspection before you take action! 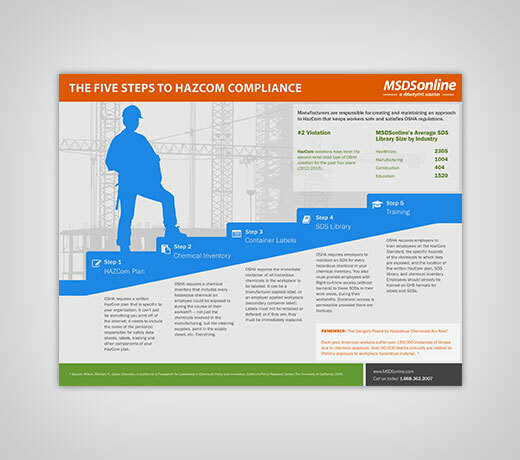 Get a jump on compliance with our infographic today! Copyright © 2001-2017, VelocityEHS. All rights reserved. VelocityEHS® and MSDSonline® are proprietary trademarks of VelocityEHS. All other trademarks are the property of the respective owners.